Australian manufacturer of commercial explosives and innovative blasting systems Orica has recently released the BlastIQ™ digital blast optimisation platform. 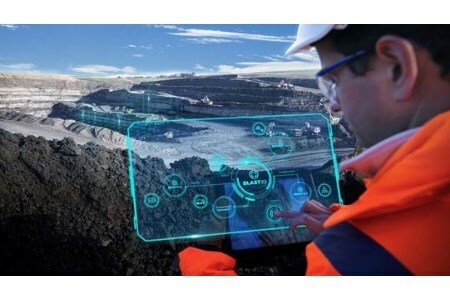 The BlastIQ is Orica’s latest digital platform, which is designed to improve blasting outcomes by integrating data and insights from digitally-connected technologies across the drill and blast process. Solutions enabled by BlastIQ can deliver predictable and sustainable improvements that can reduce the overall cost of drill and blast operations, improve productivity and safety, and facilitate regulatory compliance. The full range of enhanced technologies incorporated in the BlastIQ enables mine managers and engineers to make better decisions and increase control of blasting outcomes across mining and quarrying operations. The information management component of the platform provides a secure, centralised online location for users to collate and collaborate on data from across the drill and blast process. This accelerates planning, analysis and auditing of blast data to satisfy regulatory requirements. Optimised blast designs are developed using Orica’s market-leading SHOTPlusTM 3D design and modelling software. Evolved over 30 years, the advanced design tool has proven capability to manage both simple and complex blast designs and initiation sequences. Orica Global Digital Product Manager, Angelo Labriola, commented: “Our SHOTPlus design tool improves productivity by integrating seamlessly with the BlastIQ Platform. This allows blast loading instructions and rules to be communicated in near real-time to field operations, ensuring the right explosive type and quantity is used in the right place and subsequently initiated at the right time, every time. Labriola added: “In a world-first, accuracy and efficiency of explosives delivery is significantly enhanced through the new BlastIQ enabled delivery system, with loading and delivery to design now fully integrated. Orica's Mobile Manufacturing Unit (MMU™) delivery systems, in particular the recently released Bulkmaster™ 7 unit, can be integrated into BlastIQ to wirelessly receive blast designs updated with near real-time blasthole quality data, while on bench. When a BlastIQ enabled delivery system is not available, a BlastIQ mobile device can be used to capture and record as-loaded data during the delivery process. The system still provides instruction to the delivery system operator based on updated processing of design and in-field blasthole condition measurement that precedes loading. The BlastIQ not only offers new technologies, functionality and enhanced user experience, the platform also offers a comprehensive training, support and customer success programme. The programme is aimed at tailoring each BlastIQ implementation specific to a customer’s needs, increasing the speed of implementation and importantly, maximising customer’s ability to realise productivity, cost reduction and regulatory compliance benefits. The new platform has been integrated into several operations around the world, with customers already seeing the benefits and reaping rewards. Integrated easily into existing operational systems and processes, the BlastIQ™ Blast Control solution is significantly improving blast quality control through autonomous and seamless data transfer and insights, resulting in the elimination of rework, and the reduction of excess drilling and explosives consumption. In late 2018, multilingual support is to be introduced to the BlastIQ Platform, as well as new capability to optimise blast fragmentation through integration of drilling data, blast modelling, and automated fragmentation measurement. In early 2019, the platform will connect third party mine planning, drilling and incorporate predictive modelling to deliver even greater blast control and optimisation for customers.